Looking for a way to help 12Bands? There are many ways for you to help us bring the healing power of music to the children and families of pediatric cancer patients! Click on one of the available options below to get involved! Make a direct donation to 12Bands, and help us make a difference in a family's life. It might be covering a utilities bill or buying an air hockey table, but no matter what, the money will go to the right place. 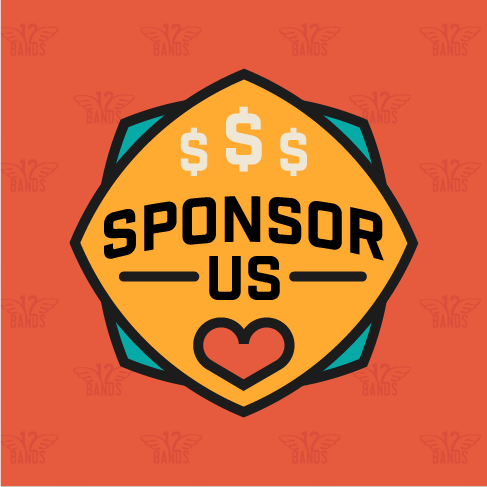 Sponsoring a 12Bands event can significantly boost our efforts while also connecting your business to a good cause. Help us support the families of pediatric cancer patients through the healing power of music. Interested in helping 12Bands become a permanent and stable charity? Help us by supporting our endowment to make sure 12Bands can last far into the future! For more involved participation, please contact Emily Stevenson at director@12Bands.org for more information on how you can support 12Bands.